Tagged by Em to post 4th pic in my fourth picture folder. 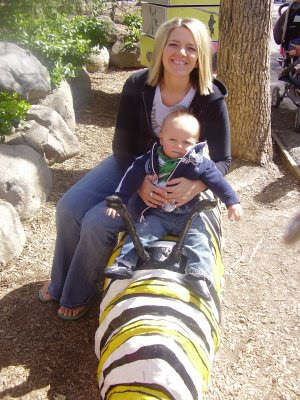 This is Jess and Jaxon on a Zoo trip 04/02/2007.. Jax isn't even ONE yet. Cute. Oh did you want a copy Jess?? Here it is. I tag..Amy,Jess,and Stacy and ..everyone. YAY! You did it! Love that pic.